March is national craft month, and this month all of my blog posts will be of something I have made. My goal is at least 3 things a week. Let's Play! 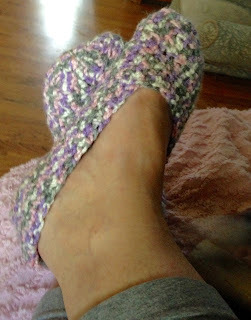 on Stitch Stitch Booms pattern for slippers. What I learned. 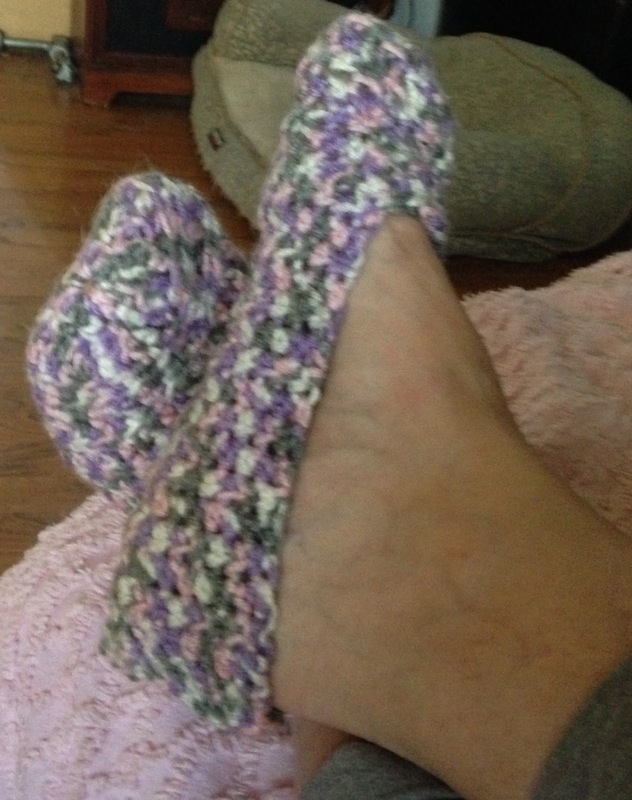 Make them smaller than you need, because they stretch, and the yard feels 'hard' on the bottoms of my feet. I don't want to wear socks with them, that defeats the purpose of the slipper, but an insole works!!!! What are you making for National Craft Month?? And as always, Be peaceful, Be kind. Remember to explore, create, dream, imagine and discover!